Teaching basic subjects is important in your 7th grade homeschool curriculum, but allowing room for your student to explore their own interests can be very beneficial. A mix of the two makes for a rich home education. 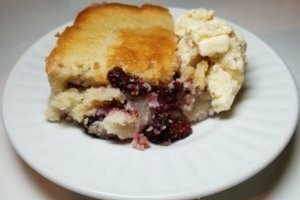 Some of this post is going to be a little repetitive of the Our 2018-2019 4th Grade Homeschool Curriculum post. This has been a very busy year and I wanted my older sons to be able to work on some subjects together. Both of my older boys are using Accelerated Christian Academy PACEs for their English curriculum. These workbooks travel well and can be grabbed easily on the way out the door, if need be. I like that I can purchase these workbooks individually, a few at a time, or the complete curriculum for the subject. The teacher’s key is sold separately. We buy ours from Christianbook.com along with the grade keys. This curriculum also requires Bible verse memorization, which is a wonderful thing. I want my children to not only remember Bible stories, but to take verses to heart and be able to recite them from memory when they’re having a hard time doing life. The lessons are challenging, but easy to understand. There are enough exercises given to make sure concepts are mastered. If some of the exercises are excessive where your child is concerned, they can easily be skipped over when a concept has been mastered. When I began having trouble understanding our science curriculum, I decided it was time for a change. We chose ACE PACEs with score keys for science also. The 7th grade curriculum integrates a microscope to examine the world around you that isn’t visible to the naked eye. This is right up my older son’s alley! He gets so excited to get to look at different specimens under the microscope. Everyone else gets in on this fun, and it’s definitely fascinating for all of us. There are science experiments included in this curriculum also. Math, in general, has been exhausting for my older son and me. It isn’t usually one of his favorite subjects, but this year, I found a free homeschool math curriculum that has made it much easier for both of us. Master Math has video lessons, worksheets for practice with a parent key, and quizzes to test mastery of the lesson. This program begins with sixth-grade and progresses to Algebra 1. As of this writing, my son has done a total 360° turnaround. He has decided that he loves math, and it’s all because of this curriculum! Thank the Lord! For our history, we’re using The History of US, by Joy Hakim. I’ve written more about this in Our 2018-2019 4th Grade Homeschool Curriculum, but my likes about this curriculum are that it’s written in story form and there are so many beautiful pictures to go along with the lessons. 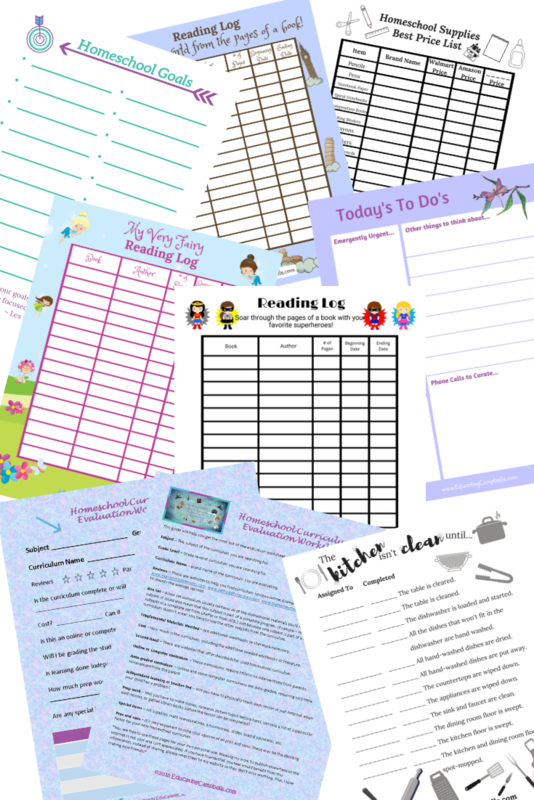 You can find free worksheets to go with each book at Mister Dan’s website. Our reading curriculum is not something I get overly strict about. My children are generally readers. I let them choose some of their own books and I choose some for them I think they’ll enjoy. My ultimate goal is for them to read something every day. finish before the end of our school year. 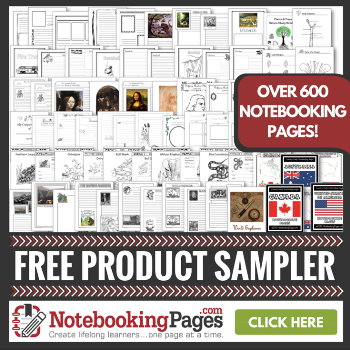 One of the resources helping us to do this is NotebookingPages.com. Our Lifetime Membership to Notebooking Pages has gained us access to the USA State Study Pages. 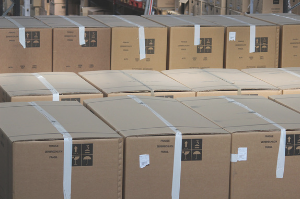 Each of the state packets contains 49 pages. You decide how many pages you’d like your child to complete, but they certainly don’t need to complete them all. 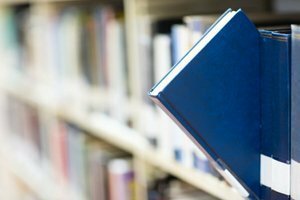 The information on the pages cover a variety of grade levels and topics. My boys work well together on these and seem to enjoy learning about the states. My older son takes some online computer classes. He loves to play video games and so, I decided to try and work that into our homeschool in a way that could be beneficial to his overall education. We talked about how computer coding is part of video game development. I found a coding class online that was fairly inexpensive and he was interested. The class is easy for him to follow and he can work at his own pace. This is a great way for him to find out if game developing is really something he’s interested in. If he doesn’t like coding, he probably won’t like game design. This year, I decided to transition my older boys into doing more independent learning. With a seventh grader that needs a little supervision, my fourth grader, two kindergarteners, a toddler running around, running three businesses from home, and a ministry, some of these kiddos are going to have to learn to do a few things on their own and be more responsible for their own learning, and I’ve recently decided, there’s nothing wrong with that. 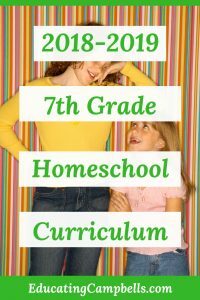 Teaching multiple grades from the same curriculum has been a lifesaver for our homeschool and my sanity. 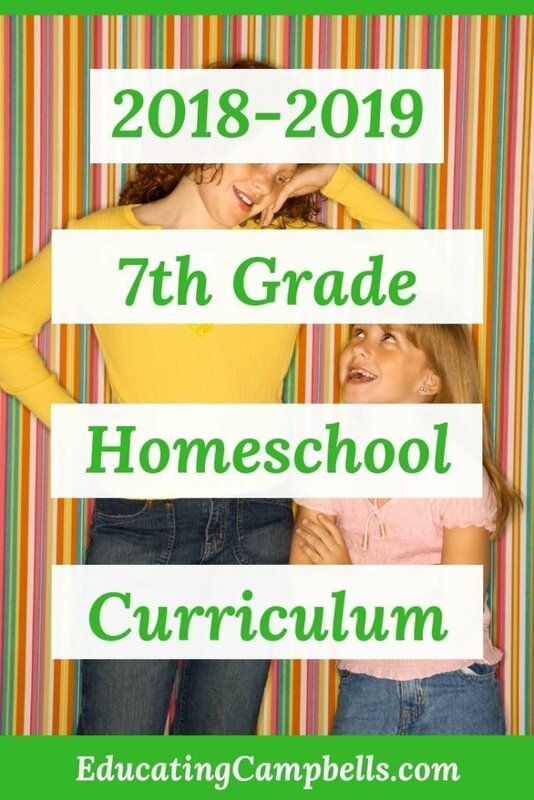 Read Homeschooling Multiple Ages for more information on how I juggle four different grade levels.